CRBA applications must be made before the child’s 18th birthday, and we recommend that the parents apply for the CRBA as soon as possible after the child’s birth. For applicants older than age 18 who have never been issued a CRBA, please refer to Possible Derivative Claim to U.S. Citizenship. Anyone who has a claim to U.S. citizenship must be in possession of a valid U.S passport to enter and exit the United States, even if they have citizenship of another country, as well. A U.S. citizen parent may transmit citizenship if s/he has been physically present in the United States for a certain period of time prior to the child’s birth. For children born on or after November 14, 1986, the citizen parent must prove that s/he was physically present in the U.S. for 5 years, 2 of which were after age 14. It is important to recognize that the burden of proof is on the applicant. Physical presence may be proven by presenting a combination of records such as school transcripts, social security statements, old and current passports, etc., to show that the physical presence requirement has been met. A child born to two U.S. citizen parents abroad acquires citizenship at birth, so long as either parent had a residence in the United States or its possessions sometime before the child’s birth. There is no specific length of physical presence required. An unmarried U.S. citizen mother may transmit citizenship to a child born abroad if she has been physically present in the United States for a certain amount of time prior to the child’s birth. For children born between November 14, 1986 and June 11, 2017, mother must prove that she was physically present in the U.S. for a minimum period of one continuous year. For children born on or after June 12, 2017, mother must prove that she was physically present in the U.S. for 5 years, 2 of which were after age 14. It is important to recognize that the burden of proof is on the applicant. Physical presence may be proven by presenting a combination of records such as school transcripts, old and current passports, vaccination records, etc., to show that the physical presence requirement has been met. The birth of a child abroad to a U.S. citizen parent should be reported as soon as possible to the nearest U.S. consular office for the purpose of establishing an official record of the child’s claim to U.S. citizenship at birth. The official U.S. record is a Consular Report of Birth Abroad (CRBA) for a citizen of the United States of America. A primary requirement to qualify for a CRBA is that the U.S. citizen parent must be a U.S. citizen at the time the child’s birth. The document, referred to as the CRBA or FS-240, is considered a vital United States citizenship document. An original FS-240 is furnished to the parent(s) if the registration is approved. You must submit ORIGINAL documents or copies certified by the custodian of the record. Generally, we will return your documents after we have seen them. We cannot accept photocopies or notarized copies of documents. Child’s Bolivian Birth Certificate: This document is issued by the Corte Electoral and shows the parents’ names. Evidence of Parent(s)’ U.S. Citizenship and Identity: This may consist of a U.S. passport, U.S. passport card, Consular Report of Birth Abroad, Naturalization Certificate, Certificate of Citizenship or timely filed U.S. birth certificate. A passport or government issued Photo ID must be presented as proof of identity. Evidence of the U.S. citizen parent(s)’ physical presence or residence in the United States prior to the birth of the child: Such evidence may include, but is not limited to affidavits, school, employment, tax and medical records, utility bills, rent receipts, or other official public documents. Evidence of time spent abroad working for the U.S. government, U.S. Armed Forces or qualifying international organization, or as s dependent child of a person working abroad for such entities prior to the birth of the child is also acceptable in some cases. Evidence of a biological relationship between the parent(s) and child: Such evidence may include pre-natal and post-natal medical such as the mothers pregnancy book/records isued by a doctor, clinic, or hospital; and/or photos of the parents before, during and after the pregnancy. Parent’s marriage certificate, if applicable. Evidence of the termination of any previous marriages of the parents: divorce decree, annulment decree, or death certificate. If a person other than a parent or the child is applying for the Consular Report of Birth Abroad, the person must present a certified copy of legal guardianship or notarized affidavit from the parent(s) authorizing the person to make the application. Please remember to bring all required application forms and documentation with you to the appointment. If you fail to do so, you may be required to schedule a new interview. Please bring ORIGINALS of each document. In order to provide more effective customer service, the American Citizens Services unit has an appointment system for all non-emergency services, including birth registrations. We ask that you make an appointment before your visit. Please note that the child and the parent(s) or legal guardian(s) will all need to have appointments. Our system allows you to plan your visit in advance, ensures shorter wait times, and allows more efficient handling of individual cases. Only customers with appointments will be admitted into the Consular Section/Agency for all non-emergency matters. The child and parent(s) or legal guardian(s) are required to come to the interview. Once the citizenship claim has been approved, the Consular Report of Birth Abroad (CRBA) will be printed in the United States and sent to the U.S. Embassy in La Paz within 4 weeks of the date in which the Consular Officer informs you that the application is complete. If the application was submitted at the Santa Cruz Consular Agency, the CRBA will be sent to the Santa Cruz Consular Agency. If you are required to bring additional evidence to comply with U.S. law, you will have 90 days from the date of the interview to submit the evidence. In some instances it is not possible to conclusively determine the U.S. citizenship of a child at birth based on the documents submitted. In these cases, the Consular Officer may request a DNA exam to establish parentage. This will involve the supervised taking of saliva samples from the parties involved by an accredited laboratory. Please do not conduct independent DNA exams, as only results from the U.S. Embassy requested tests can be used to determine a genetic relationship for citizenship purposes. If you wish to apply for your child’s first passport you may do so at the same appointment. For passport information refer to Passport for Minors Under 16. Once you receive your child’s Consular Report of Birth Abroad and U.S. Passport, please contact the SSA Federal Benefits Unit (FBU) located in Costa Rica to request information on how to apply for a Social Security Number (SSN) for your child. For more information on their services and how to contact them, please visit their webpage at: https://cr.usembassy.gov/u-s-citizen-services/social-security/. In order to provide more effective customer service, the American Citizens Services unit has an appointment system for all non-emergency services, including passport services. We ask that you make an appointment before your visit . Our system allows you to plan your visit in advance, ensures shorter wait times, and allows more efficient handling of individual cases. Only customers with appointments will be admitted into the Consular Section. If you have already scheduled an appointment, you may cancel your appointment by clicking here or by sending an email to ConsularLaPazACS@state.gov. If you must cancel, we ask that you do so at least 24 hours prior to the start of your scheduled appointment. There is no charge for making or cancelling an appointment. To make an appointment, please select the office you would like to visit from the Appointments section on the right side of this page and provide the required information. The fee for the first adult passport (valid for 10 years) is US$145.00 (payable with a U.S. credit card or in cash either U.S. dollars or its equivalent in Bolivianos – we cannot accept a combination of dollars and Bolivianos). Note: The Consular Agency in Santa Cruz does not accept credit cards. Please arrive 15 minutes before your scheduled appointment. The scheduled appointment will automatically be cancelled for anyone arriving 15 minutes late and you will be required to schedule a new appointment via our website. Once you receive the passport, please contact the SSA Federal Benefits Unit (FBU) located in Costa Rica to request information on how to apply for a Social Security Number (SSN). 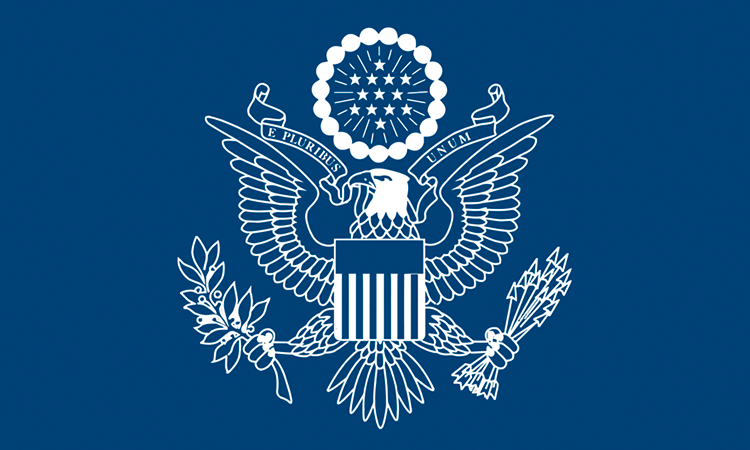 For more information on their services and how to contact them, please visit their webpage at: https://cr.usembassy.gov/u-s-citizen-services/social-security/. For additional information, please see the State Department web page on Renunciation of Citizenship. In order to provide more effective customer service, the American Citizens Services unit and the Consular Agency have an appointment system for all non-emergency services, including Renunciation of Citizenship. To receive the renunciation documents and/or to schedule an appointment at the American Citizens Services unit, please send and email to ConsularLaPazACS@state.gov. IMPORTANT NOTICE: EVERYONE coming to the U.S. Embassy or to the U.S. Consular Agency needs to have an appointment, regardless of whether you are the American citizen seeking the service or whether you accompanying an American citizen. To apply for a Report of Birth Abroad, both parent(s) or legal guardian(s) and the child need an appointment. Only the names listed on the appointment list will be allowed to enter the Embassy/Agency. Only customers with appointments will be admitted into the Consular Section/Agency for all non-emergency matters.